Would Auto Detection Systems Prevent DUI Accidents in California and the U.S. The Insurance Journal reported recently that the National Highway Traffic Safety Administration, in conjunction with the Automotive Coalition for Traffic Safety ( a conglomerate of 15 automakers including all U.S. Manufacturers ) has extended an agreement to continue supporting research into an auto detection system for drunk drivers. (See Article here). The system dubbed “Driver Alcohol Detection System for Safety” (“DADDS”) is hoped to be able to automatically detect when a driver has reached the legal limit to operate a motor vehicle which is .08 blood alcohol content (“BAC”) and disable the vehicle without being affected by any other passengers in the vehicle who may also be legally intoxicated. Apparently, the technology is years away from being able to be deployed but, the research to date seems somewhat promising. According to statistics maintained and provided by the California Department of Motor Vehicles, the Golden State averages approximately 175,000 – 200,000 arrests for driving under the influence of alcohol or drugs in any given year which result in approximately 140,000 to 150,000 DUI convictions. Fatalities resulting from consumption of alcohol or drugs by motor vehicle operators ranges between about 1,400 and 1,600 per year. Injury causing collisions where alcohol or drugs were involved ranges between about 30,000 to 35,000 persons per annum. Would an auto detection system eliminate personal injury and wrongful death collisions? The technology is years away from being fully developed and, as discussed, it will be necessary for the trigger device to be able to only detect the BAC of the driver without any other external input such as intoxicated passengers, existence of alcohol within the vehicle itself, false positives triggered by other substances that could mask as alcohol and many other factors. A major problem that has grown by leaps and bounds in recent years is people driving under the influence of marijuana, heroin, cocaine and other illegal narcotics including prescription drugs like opiates, Xanax (and other relaxants), methamphetamine (and other central nervous system stimulants) and many other controlled substances. It would be almost impossible to develop technology that is sophisticated enough to detect the consumption of every substance that a drive could ingest that would affect their motor skills and ability to operate a car. Requiring that all vehicles be equipped with this type of technology would require a fairly monumental task by way of enactment of Federal and/or State laws including administrative regulations. The chances of drivers who wish to continue to have the “freedom” to consume alcohol or drugs and operate a motor vehicle finding ways to tamper with or deactivate such as system seem considerable. For example, California Vehicle Code section 23575(a) already allows a judge to impose a requirement for installation of an ignition interlock device that disables vehicles upon detection of alcohol above the legal limit. Even a first offense DUI offender can be required to install such a device (with heightened consideration for persons driving with a BAC of .20 or higher) and second and third time offenders are usually required to install such a device as a matter of course. Despite this provision, people continue to find ways to disable or otherwise evade these devices (e.g. 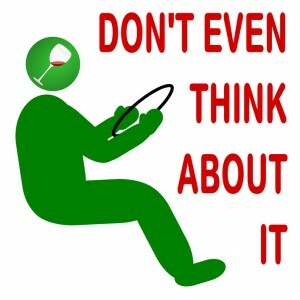 having someone else blow into the machine) and drive drunk even after one or more DUI conviction. For all these reasons and more, I don’t believe that automatic detection and disabling systems will ever completely eliminate persons driving drunk and/or high. Unfortunately, irresponsible persons will continue to operate cars, trucks and SUVs while under the influence of alcohol and drugs. What is the best thing any person injured or the family of a deceased loved one can do following a DUI crash? Luckily, DUI accidents causing injuries and death have been decreasing over the past few decades. Unfortunately, there will always be incidents where people are seriously injured or killed by intoxicated persons. If this happens, it is always best to consult with a personal injury lawyer who is familiar with DUI and drug-related car accidents. Such an attorney is familiar with the laws, the investigation of such claims and the means for gathering sufficient evidence to fully pursue claims for bodily harm including present and future medical expenses, lost income and earning capacity, property damage and compensation for the physical and emotional pain and suffering that these tragic cases cause to the victims and their families. California law actually provides for all of these so-called “compensatory” damages and, in addition, allows for damages meant to punish persons found to have caused injury or death while under the influence (so-called “punitive damages”). For a free consultation regarding any DUI accident or injury claim in California from award winning personal injury lawyers, call (866) 966-5240 toll free statewide.